I've been blogging on and off for more than 10 years now. I'm not sure why, but blogging has always been something that fascinated me! In college I had various hobby blogs that I worked on in my free time, some that made money and some that didn't. Two years ago, my husband and I decided to have our first child. I was so excited! Soon after though, it really hit me that my entrepreneurial career would be taking a back seat to baby raising unless I could work from home 100% of the time. I love being a mom and staying home with my happy little boy. But, I also love the challenge of a career. I love having a big project to work on, and money coming in. I knew I wanted to do both, so after my son was born I got super serious about building this blog. Part of being a full-time stay-at-home mom is that your time is seriously limited. I work before my son wakes up in the morning, and during his nap times. I usually squeeze in an hour or two in the evening as well. Time is one of the biggest reasons I decided to invest heavily in my blogging education. I'd already been hobby blogging for years, and I knew I didn't want to spend even more years trying to figure out how to make a living without any guidance. You see, good blogging courses are like shortcuts. You pay for them in advance, and in return they increase your income. Honestly, this is why I've bought so many well reviewed courses. If someone asked you to pay $100 to learn how to make $10,000, would you do it? That was my mindset going in, and now I'd like to share with you my experiences from the other side of being a student in all of these courses. Okay, so this one is actually a membership and it's a great resource for beginner and intermediate bloggers. I signed up for Fizzle years ago because I was in the same situation you might be in now. I knew I wanted to earn a living doing my own creative work from home, I just didn't understand the full picture of how to get there. 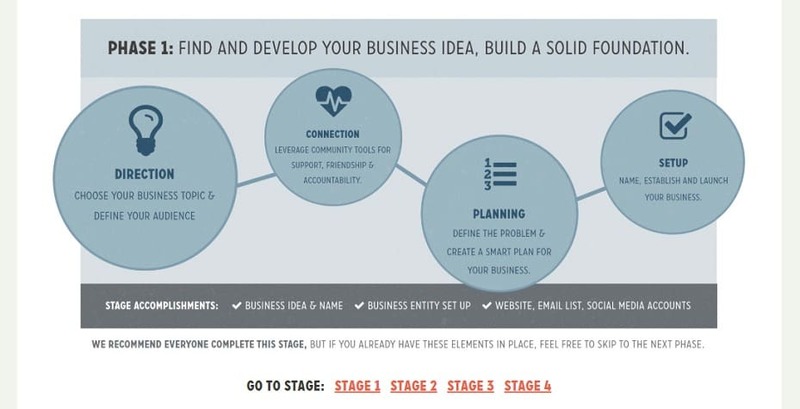 I wanted a framework, a step-by-step system I could follow that would get me there. I found Fizzle through The Fizzle Show, a podcast by Chase Reeves, Steph Crowder, and Corbett Barr. Initially I was drawn to them because their podcast is the most insightful one I've ever heard. It isn't fluff. These guys go in deep and they're very raw, which I appreciate. I also love that they are absolutely hilarious, and it's so much fun to listen to their podcast every week. After binge listening to so many of their podcast episodes, I just knew that any of their videos inside the Fizzle membership would help me so much in growing my business quickly. It didn't hurt that they had a 30 day free trial with no ongoing commitment, so I signed up. Here's what happened after that. The biggest thing I got out of Fizzle was a profound sense of CLARITY. Where before my brain felt a little muddled trying to organize all the thoughts in my head and lay out a money making plan for my blog, the Fizzle Roadmap really gave me a complete picture that showed me exactly step by step how I would be creating a profitable online business. Here's a sneak peek of the Fizzle Roadmap and the video course topics you can expect to find inside the Fizzle members area. 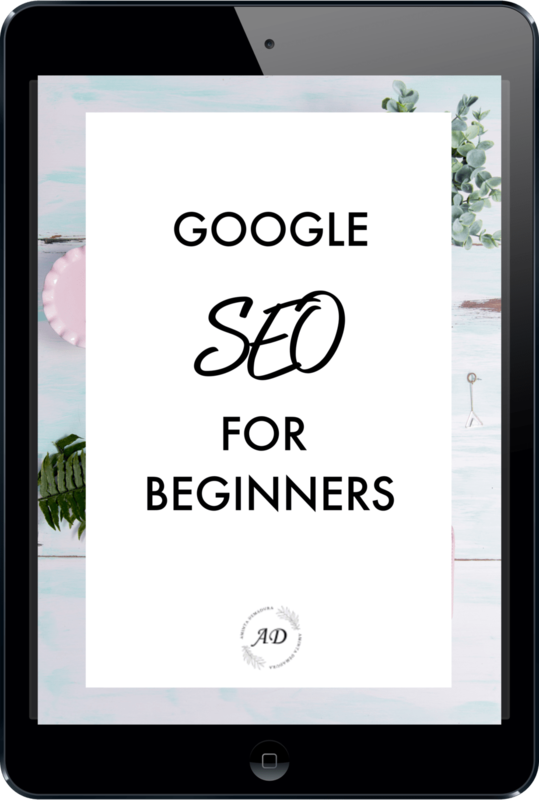 I also learned how to choose the perfect audience for my blog, build an email list of fans, launch products, incorporate easy SEO to help more readers find my blog, and so much more. All of the video courses in Fizzle rounded out my gaps in knowledge and helped me see the big picture of business building. The other big thing I got from Fizzle was MOTIVATION. Building a business isn't all about knowledge and techniques. There have been so many times I've found myself simply needing some inspiration to keep going as well. The founder stories inside Fizzle really provided that for me. These are hour long video interviews with successful online business owners. Each video dives deep into their stories, their setbacks, and their successes to help the Fizzle member stay motivated and see any setbacks as something that they can overcome. You can get your free 30-day trial of Fizzle here. Before I bought this course, I'd heard of affiliate marketing but always thought that you needed a huge amount of traffic to make any money doing it. So I wrote it off and forgot about it, thinking that it would be best to only offer my own products on the blog. 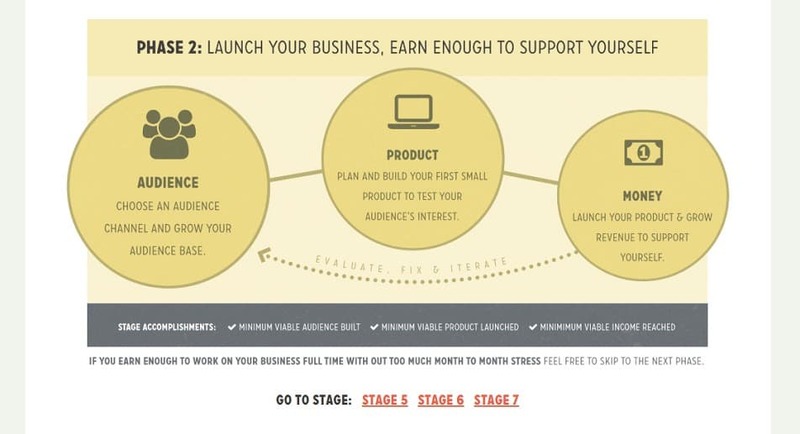 Then I came across Michelle Gardner's course, Making Sense of Affiliate Marketing. Here's what caught my eye. Michelle makes more than $50,000 per MONTH from affiliate marketing. Insane, right? She knows her stuff. So I did a little digging on affiliate marketing, and I realized that I was leaving a HUGE amount of money on the table by not including affiliate marketing as part of my monetization plan. That being said, I didn't really know where to start. I knew that bloggers include affiliate links in their blog posts, and sometimes in their emails, but I didn't know the big picture of how affiliate marketing can create a passive income stream in your business. To be honest, I waffled back and forth for a while on whether I should buy Michelle's course or not. On one hand, I did know a bit about affiliate marketing. But on the other, there were clearly some gaps in my knowledge that could make or break my success. 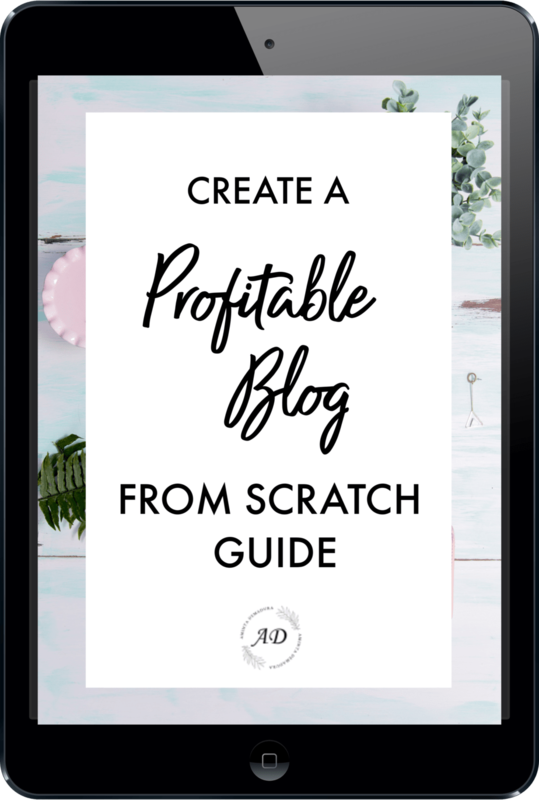 Ultimately, I looked at how much Michelle actually makes each month from affiliate marketing with her (very attainable!) amount of traffic, and I decided to purchase her course. For me, time is money. I didn't want to spend months trying to figure it out on my own only to fail and go back to purchase her course anyway. 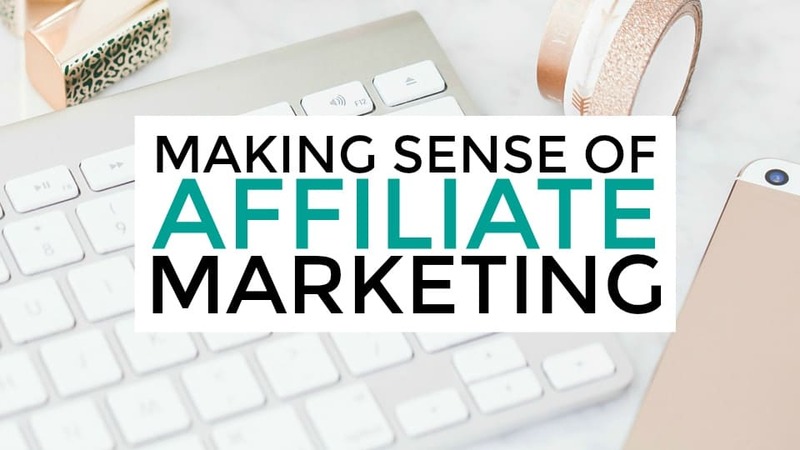 Here's what happened after I bought Making Sense of Affiliate Marketing. I made my first affiliate commission of $100 just two weeks after implementing her suggestions in the course. Needless to say, that commission email made my day! Since then, my affiliate marketing revenue has continued to grow steadily. While I am personally glad I purchased the course and am happy with my results, I did want to say this about this course. First, the course is all written content. There are no videos. That works for me, but I know many people prefer to learn visually and so that may be a drawback for them. Making Sense of Affiliate Marketing is also designed for those who are new to affiliate marketing. If you don't know much about affiliate marketing already, this course will help you a lot and I highly recommend it! If you consider yourself to be an intermediate in this area, you may find that you already know a lot of the information presented. I knew about 60% of what Michelle talks about in her course, so a lot of it was review for me. That being said, the last 40% really rounded out my knowledge of how to make money with affiliate marketing. You can check out Making Sense of Affiliate Marketing here. “I've got money making systems in place, but I don't have enough traffic to earn a living yet." When I started this blog, I had no idea how to use Pinterest to drive traffic to it. Sure, I had poked around on there saving recipes and pinning home decor ideas, but that was about the extent of my knowledge of Pinterest. Then I noticed something crazy. In just about every forum and Facebook group I frequented, bloggers in every niche railed on about Pinterest being the easiest and fastest way to get lots of traffic to your blog. I knew I needed to jump on that bandwagon if I wanted to create a profitable business. Without traffic, I knew there was no way I could make money with my blog. I bought a $400 Pinterest course from a popular Pinterest maven that I really thought would solve my problems. I implemented everything in her course… and it didn't work. I was So. Freaking. Bummed. A few months went by, and I knew I needed to brush myself off and try again. This time I did some hard research. I scoured Facebook groups and forums, emailed students in various courses, and settled on Pinterest Traffic Avalanche by Alex and Lauren of CreateandGo.com. Their students rave about the course and how much more traffic they are getting after taking it. Alex and Lauren of CreateandGo make more than $150,000 per MONTH blogging, and they credit it to getting great traffic from Pinterest. I purchased Pinterest Traffic Avalanche because I could see that Alex and Lauren really walk the walk. They have extremely high Pinterest monthly viewers and incredible income reports, so I knew I could learn from them. So what happened after I bought the course? It took a couple weeks after I started implementing their strategies, but my traffic began to increase drastically. In fact, my traffic tripled within two months after taking and implementing their course! 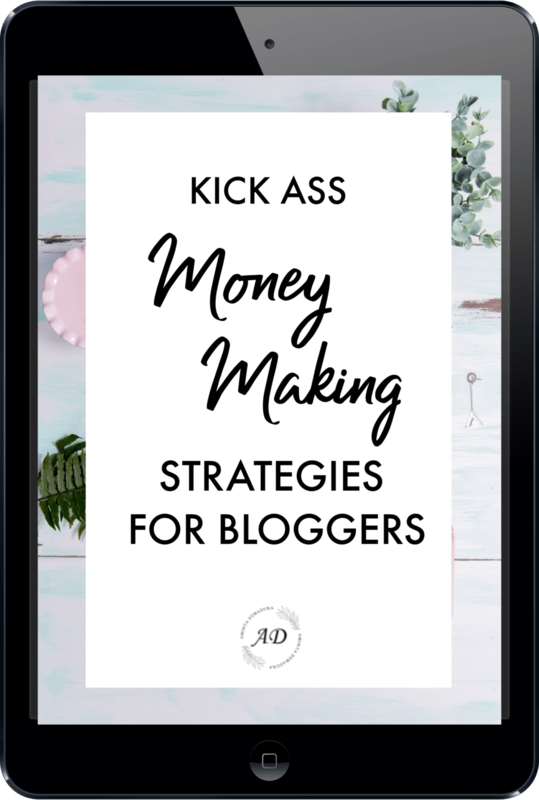 If getting great traffic is the last domino you need to knock down to start making money with your blog, I highly recommend this course. You can check out Pinterest Traffic Avalanche here. “I'm making at least $1,000 per month from my blog, but I want to scale my business to six figures." I'm going to come right out and say that I wasn't making $1,000 a month yet when I bought Six Figure Blogger. 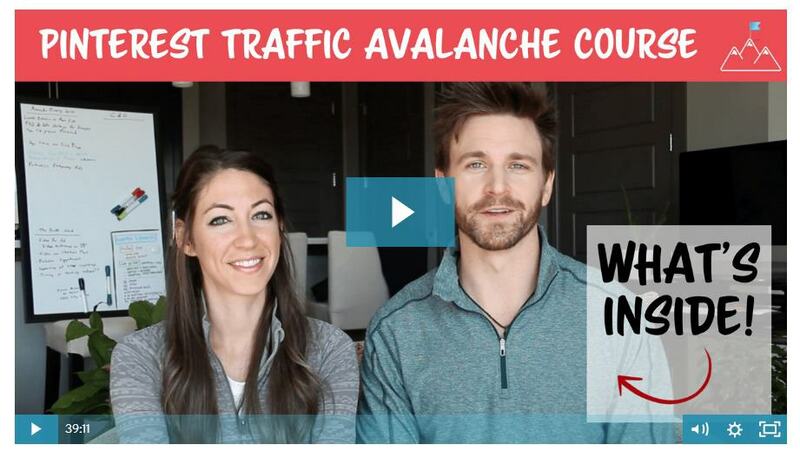 After taking Pinterest Traffic Avalanche, I was really impressed with Alex and Lauren's knowledge and teaching ability, and so I excitedly bought their Six-Figure Blogger course too. Why did I buy Six Figure Blogger? This blog has never been just a hobby for me. It's my business, and I absolutely would like to make 6 figures per year from it. Because I want our family to be able to travel the world while living off my blog income. I'd like to be able to buy a house when we find the place we want to settle down in. I want this blog to help us reach our financial independence goals sooner. I want my husband to be home more than he's able to be right now. Maybe you can relate to those feelings. Advanced blogging courses aren't easy to find. Most bloggers aren't actually qualified to teach advanced blogging techniques, not to mention the market is much smaller. 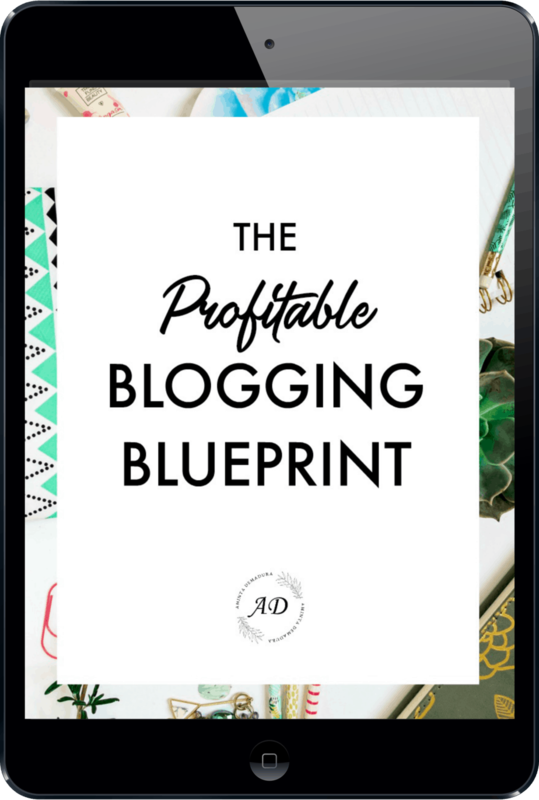 There are simply so many more newbie bloggers looking for help than there are intermediate bloggers wanting to scale up. I consider myself to be an intermediate blogger. When I realized that Alex and Lauren were succeeding with their blogs to the tune of $150,000 per MONTH, I knew I wanted to learn from them. So, I bought their course! So how do I feel about Six Figure Blogger? It's hands-down the best blogging course I've ever taken. 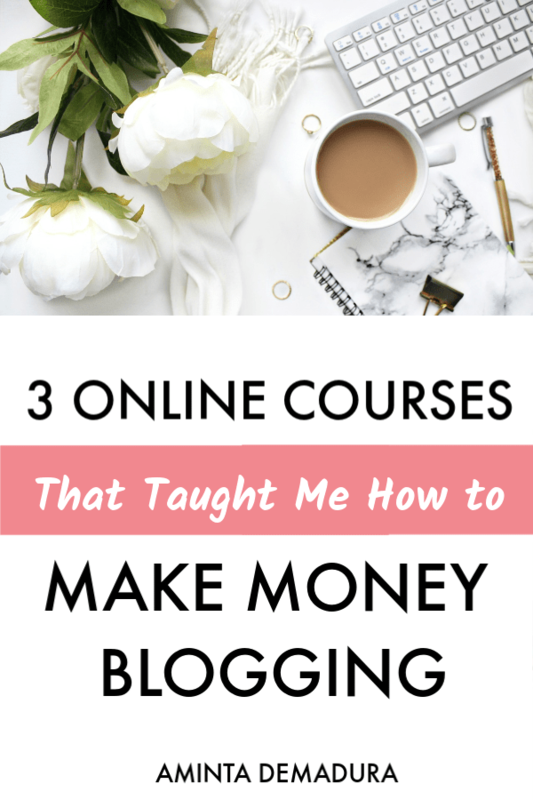 Now, I only took the course a couple of months ago, so I'm not a six-figure blogger yet! That being said, I learned so much in this course. 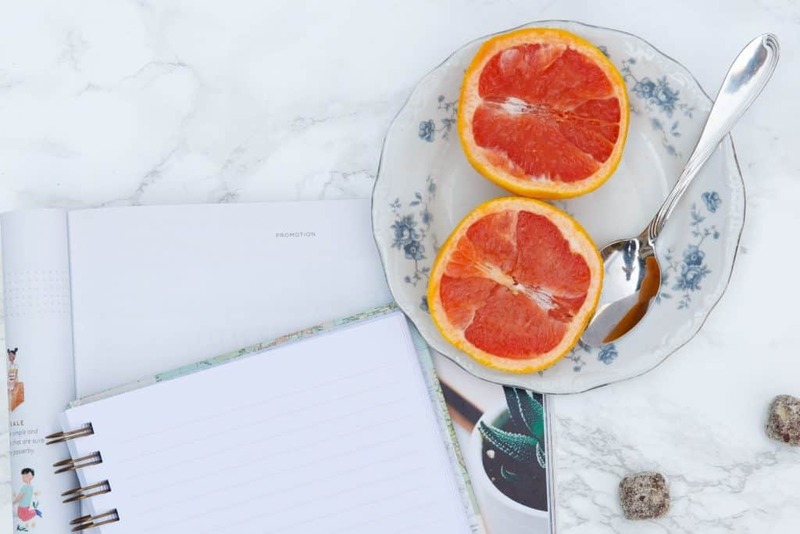 I learned that there is one big commonality between all successful bloggers that you must implement if you want to make six figures a year blogging. 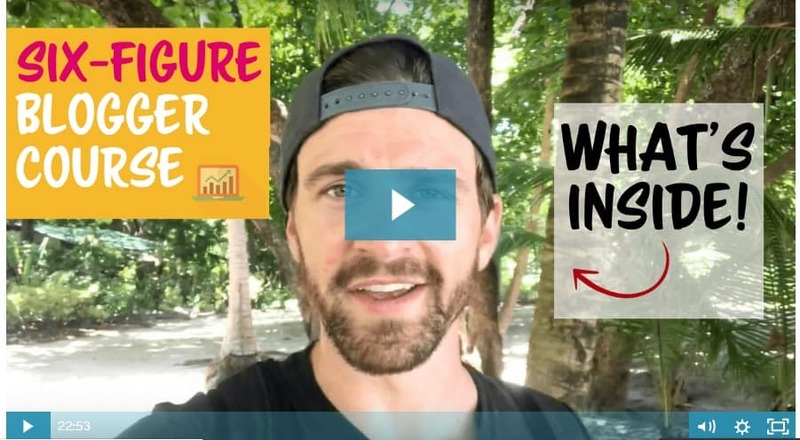 I received copies of the exact email funnel Alex and Lauren use to successfully promote their courses and affiliate products to their email subscribers. I took the course two months ago, and I've already created my own product, written my sales page, and set up my email funnels. On top of that, I earned back the price of the course within my first month after implementing the strategies in Six Figure Blogger. More importantly than my immediate results, however, is that I feel like I have a thorough grasp of how to scale my business to a $100k, $500k, or even a $1 million business. You can check out Six Figure Blogger here. If you choose to sign up for any of the courses above, you will also receive all of the following bonuses I've made just for you! Just email your receipt to [email protected] and I will personally send over your bonus guides!